Spinal Muscular Atrophy: Disease Mechanisms and Therapy provides the latest information on a condition that is characterized by motoneuron loss and muscle atrophy, and is the leading genetic cause of infant mortality. Since the identification of the gene responsible for SMA in 1995, there have been important advances in the basic understanding of disease mechanisms, and in therapeutic development. This book provides a comprehensive accounting of recent advances in basic and clinical research that covers SMA clinical features and standards of care, multifaceted aspects of SMN protein functions and SMA disease pathology, various animal models, and biomarkers, as well as current therapeutic development. This title is ideal for graduate students/postdocs and principal investigators who are already in the SMA field and need to keep updated on recent findings and approaches, and for those who are new to, or would like to join, the field. Likewise, users will find an excellent source of reading for biotech/pharma scientists, clinical researchers, and practitioners, regulators, and patients and their advocacy organizations. Furthermore, this book is a handy reference for researchers and clinicians who may want to apply the research strategies and therapeutic approaches in SMA to other rare diseases. Why Does Survival Motor Neuron Loss of Function Cause Spinal Muscular Atrophy? Could Altered Metabolism Be Involved in Spinal Muscular Atrophy Pathogenesis? How Does Mouse Pathology Relate to Spinal Muscular Atrophy Patients? How Do Survival Motor Neuron Deficits Cause Neurodegeneration? Why Stem Cell Therapy for Spinal Muscular Atrophy? Dr. Charlotte J. Sumner is an Associate Professor of Neurology and Neuroscience at Johns Hopkins University School of Medicine. She received her B.A. from Princeton University and her M.D. from the University of Pennsylvania School of Medicine. She completed internal medicine internship and neurology residency at the University of California San Francisco and neuromuscular fellowship at Johns Hopkins University School of Medicine. Her scientific training included Neurogenetics fellowship at the National Institute of Neurological Disorders and Stroke. Dr. Sumner cares for patients with inherited diseases of motor neurons and peripheral nerves such as spinal muscular atrophy (SMA) and Charcot-Marie-Tooth (CMT) disease and co-directs the Johns Hopkins CMT clinic. Dr. Sumner’s research focuses on the genetic and cellular pathogenesis of SMAs with particular attention to therapeutics development for these disorders utilizing cell and mouse models and human tissues. This work has included identification of novel genetic causes of these disorders, characterization of molecular and cellular mechanisms underlying disease pathogenesis, and preclinical development of therapeutics now advancing to clinical trials in SMA patients. Dr. Sumner’s laboratory research has been funded by the National Institute of Neurological Disorders and Stroke, Muscular Dystrophy Association, Cure SMA, the Spinal Muscular Atrophy Foundation, Spinal Muscular Atrophy Research Team, Ujala Foundation, and the Howard Hughes Medical Institute. She is an Associate Editor of the journal Experimental Neurology and advisor to several companies developing treatments for SMA as well as nonprofit foundations including the Packard Center for ALS research, ALS Association, Cure SMA, and the SMA Foundation. 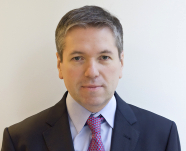 Dr. Sergey Paushkin is Director of Research at the Spinal Muscular Atrophy (SMA) Foundation. He is responsible for coordinating research efforts of pharmaceutical, biotech, academic, and contract research organizations with the goal of bringing therapeutics to patients with SMA. Dr. Paushkin has more than 20 years of experience in biomedical research related to rare diseases and has been working in the SMA field since 1998. His work on SMA started during postdoctoral training at the Howard Hughes Medical Institute (University of Pennsylvania), where he studied molecular mechanisms of the disease, including the organization and function of the SMN complex. Dr. Paushkin continued working on SMA at PTC Therapeutics, where he established the SMA program and led drug discovery efforts, prior to moving to the SMA Foundation. Dr. Paushkin’s expertise in SMA extends from molecular mechanisms of disease pathogenesis to drug discovery and development of therapeutics. Dr. Paushkin’s work is focused on implementing strategies to overcome translational barriers in preclinical and clinical research by establishing and leading collaborations between industry, academic institutions and CROs, as well as developing strong relationship with the SMA community. Dr. Paushkin received his MD from the Russian State Medical University and PhD in Biochemistry from the Cardiology Research Center, Moscow. His undergraduate research was focused on the molecular basis of prion diseases, including prion protein conversion. Dr. Chien-Ping Ko is a Professor of Neurobiology at University of Southern California Dornsife College of Letters, Arts and Sciences. Dr. Ko received his B.S. from National Taiwan University in Taipei, Taiwan, and Ph.D. from Washington University in St. Louis. Dr. Ko completed his postdoctoral training at University of Colorado Medical Center in Denver, and at the National Institute of Neurological Disorders and Stroke, NIH, in Bethesda. 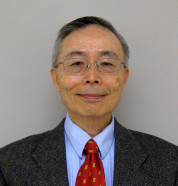 He served on the editorial board of the Journal of Neurocytology and Neuron Glia Biology and edited a special issue on the Neuromuscular Junction (NMJ) for the Journal of Neurocytology in 2003. Dr. Ko received an NIH Research Career Development Award and grants including past/current supports from NIH, NSF, Muscular Dystrophy Association, the ALS Association, Cure SMA, the Dhont Family Foundation, and the SMA Foundation. Dr. Ko is interested in the NMJ as a model synapse to better understand synaptic structure, function, formation, repair, and maintenance, as well as synapse-glia interactions. His current research focuses on the cellular and molecular mechanisms of the pathogenesis of spinal muscular atrophy (SMA), particularly the possible contribution of motor circuit defects to the pathogenesis of SMA, as well as the role of different cell types in SMA disease mechanisms and potential therapy. In addition, his lab pursues translational research by testing molecules that could potentially be used to treat SMA. Dr. Ko collaborates with many SMA researchers, both in academia and industry, with the hope to develop a novel concept of SMA disease mechanisms and potential therapy for this devastating disease. 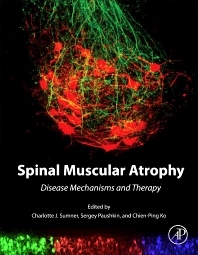 Comment on "Spinal Muscular Atrophy"
This book contains comprehensive information about SMA. As there is no other appropreate textbook on SMA, this book is very valuable.